Greenweez.co.uk is the largest online retailer for organic, eco-friendly and wellness products! 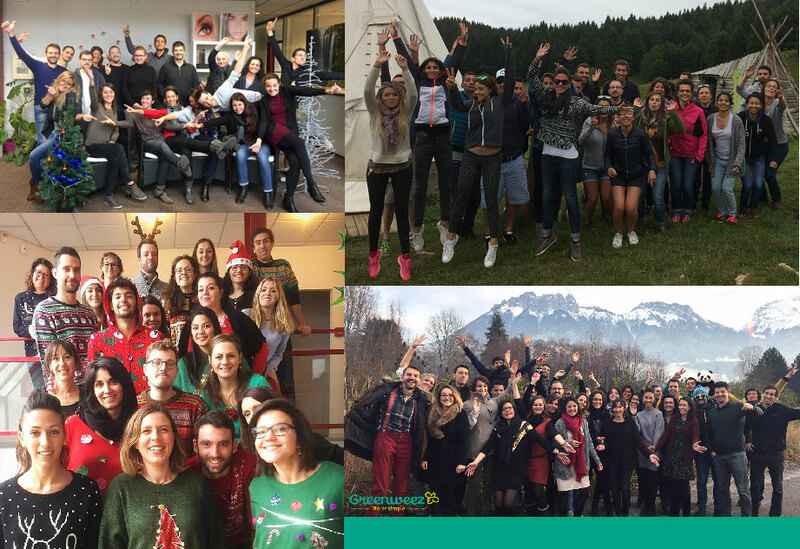 Since its creation in France in 2008, Greenweez.com has shown continued growth and success, increasing its workforce up to 40 people. In 2012, the company ranked among the Top 50 Ecommerce sites in France! Our objective has always been to provide our customers with products and services that exceed their expectations. Therefore we keep on developing a wide offering in organic and green products. Since the beginning, Greenweez.com had the ambition to become the leading online retailer in Europe for green biotechnology and environmentally-friendly products. We are now striving to make our products accessible to all European countries, ensuring our customers that all our products meet the highest standards of quality and safety. 2014 is a pivotal year for Greenweez! We are pleased to announce the launch of our new website in the United-Kingdom. We already have many satisfied and loyal British customers who enjoy our services at Greenweez.com. Thanks to Greenweez.co.uk, it will be easier for you to browse the largest existing catalogue of organic, eco-friendly and wellness products online. From now on, our Customer service will provide support in English and you will be able to purchase items directly on our British website, and always at the best price! We will do our best to provide you with high-quality products and services that better meet your needs and expectations. Your satisfaction is important to us. This new project is in alignment with our core values: Greenweez is a strong supporter of environmental issues for we promote organic and eco-friendly products, as well as natural health and wellness products. We also strongly believe that responsible and sustainable consumption are necessary for humankind to live in harmony with nature. Therefore our mission is to offer the widest range of everyday life products at the best price and improve its accessibility, so that everyone can contribute to a green and healthy environment. We now kindly invite you to discover thousands of eco-friendly items at Greenweez.co.uk. We hope you will share our enthusiasm and we will be delighted to welcome you as a new customer! 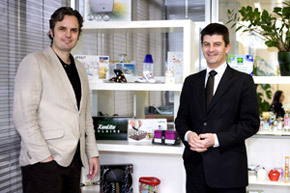 Within 3 years of its inception in September 2008 by Romain Roy and Carl de Miranda, two strong supporters of "healthy living", Greenweez.com has become the largest online retailer for organic, eco-friendly and wellness products. Graduated from Supelec engineering school, he gained experience as manager in the telecommunications and Internet sector before becoming a successful entrepreneur in this same sector since 2003. Deeply concerned by the environmental issues, he co-founded and co-directs Greenweez. Successfully graduated from the École Polytechnique, he founded and directed two environmental counsulting firms: Qietude and 8caps. He has over 10 years' experience in the environmental sector. Moreover, he is the author of 3 books: "Un Temps pour la Méditation" (Time for Meditation) and "Un Temps pour la Sagesse" (Time for Wisdom) published by Éditions Flammarion and "En Chemin" (On the Way) by Éditions Altess.